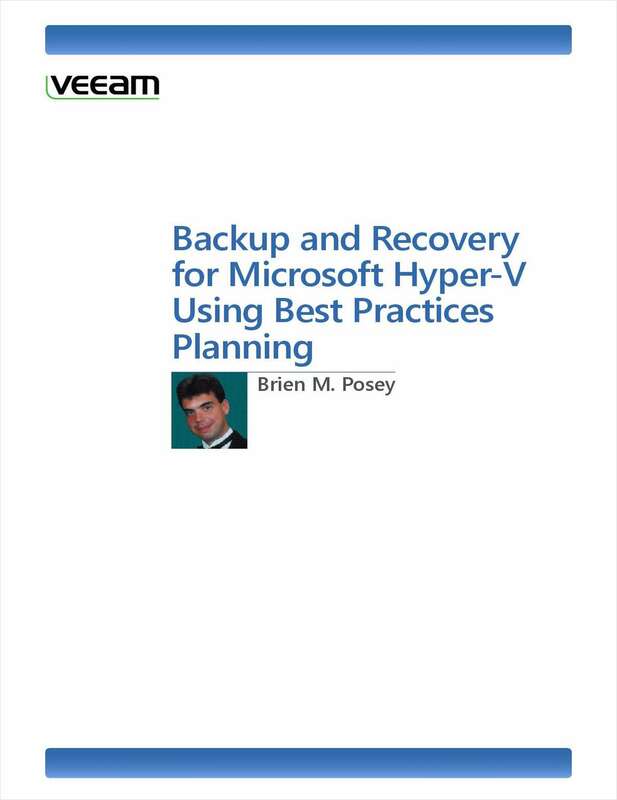 "Microsoft Hyper-V Backup and Recovery Best Practices"
Free White Paper: "Microsoft Hyper-V Backup and Recovery Best Practices"
Since backups have been a common practice for decades, the process is very straightforward. Even so, backups take on a new level of complexity when they are performed in a virtual datacenter. By submitting this content request, I have legitimate interest in the content and agree that Veeam Software, their partners, and the creators of any other content I have selected may contact me regarding news, products, and services that may be of interest to me.